The Governor's Forum on Colorado Agriculture is held in conjunction with the Farm Credit Colorado Agriculture Hall of Fame induction ceremony. The ceremony is conducted by the Colorado FFA Foundation and the Colorado Department of Agriculture. The Farm Credit Colorado Agriculture Hall of Fame induction ceremony and banquet is held annually to honor those who have made significant contributions to our state and nation’s agricultural industry. All of the members’ portraits are displayed at the Colorado Department of Agriculture offices. 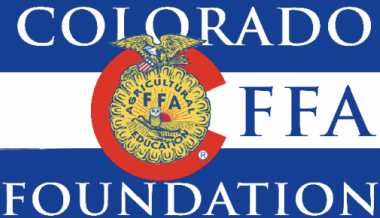 Proceeds from the banquet support the Colorado FFA Foundation.